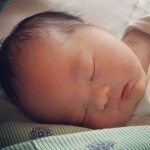 Today I will celebrate Leilani for the person she is and will become someday. And if you’ve met her, you know she is one spunky adorable little girl that lights up a room with her smile and her laughter. I will also celebrate the people in our lives that have accepted her and are teaching their children and families the love and compassion and acceptance of others. Those people are true advocates for Leilani just as much as we try to be! 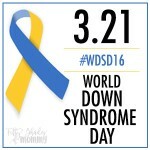 Thank you 🙂 and Happy World Down Syndrome Day! Spread the word! 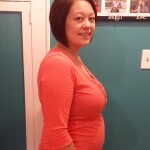 Today I am 28 weeks, which is officially the start of the third trimester. That’s so exciting and scary at the same time! 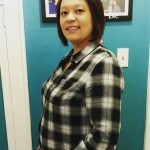 The last trimester was when it started to get rough when I was pregnant with Leilani. 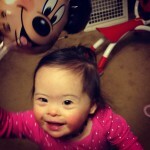 Leilani’s story/diagnosis is so different than most. 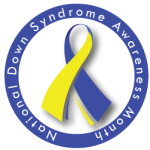 Most people find out if their child has Down Syndrome either while they are pregnant, or the day they are born (or shortly thereafter). We had almost a full year of not knowing. And let me tell you, it was such a blessing in disguise. Knowledge is power. Do your research. Don’t just repeat things that you’ve heard from other people. 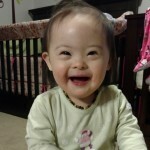 If you are going to talk about something like Down Syndrome, please know what you are talking about. Please understand that some things aren’t acceptable to say and may come off as offensive. Please don’t write my daughter’s future because of a diagnosis. 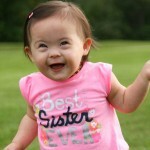 All people are different, whether they have Down Syndrome or not. If you have questions, ask. 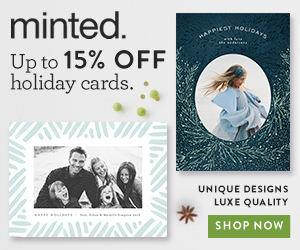 This is the story of 1 amazing little girl, and how she has changed our lives…forever. She continues to change our lives every single day. Maybe she’ll change yours too.